Is It Time To Get Your Windows Replaced? Windows can sometimes be overlooked in a home. While you may appreciate the view they provide and the sunshine they let in, if not treated with care windows can alter the comfortability and value of your home. So go beyond just doing your annual spring cleaning of a blue spray bottle wash and read why it might be time for you to replace your windows. Who doesn’t like the sound of that? It’s commonly thrown around that newer windows will help keep homes cooler in the summer and warmer in the winter. But did you know you can save up to $450 dollars a year on your energy bills by upgrading your windows?! So not only are you keeping more comfortable in the sweltering summer and blustery winter, you lower your bill by being more comfortable. That’s a home improvement I’m sure even Tim the Tool Man would appreciate. But really – it does! 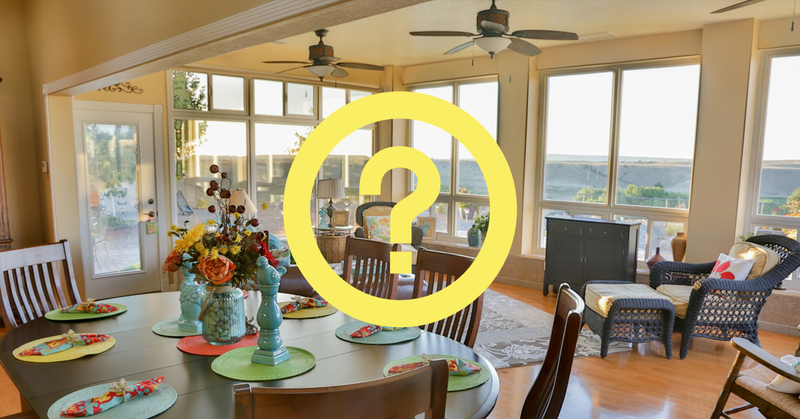 One of the many questions on buyers’ minds is how new the windows are in a home. Not only are they thinking of aesthetics and comfortability, but they’re also wondering if they are going to have to shell out that expense if they purchase the home. Hearing that the windows are new is always an added value! Replacing windows can cost up to $15,000 depending on your home – but it can add up to $11,000 to your home value! While it may seem a wash to spend more than the value will increase, buyers are more excited and willing to negotiate a higher price on a home that has all new window treatments. It’s an added expense they’re willing to pay more upfront for in list cost and saves you time on the market and an added listing price. How about that? And as if lower energy bills and increased home value weren’t enough, new windows can actually block out more sound. According to the STC scale (sound transmission class), older single pane windows reach a noise block out level of 21. New double pane windows actually reach to 26 on the scale which can be a big difference! Revving motorcycles, loud diesel engines, the neighbor’s yappy dogs, and the ONE MORE can be easily dismissed with better windows. This leads to better sleep, more relaxing time at home, and losing those pesky disturbing noises surrounding your home. It seems pretty evident that replacing your home’s windows is a no-brainer. There really are no drawbacks to lower energy costs, increased home value, and blocking out the noise. And let’s be honest: new windows look better! So take advice from your faceless neighbor “Wilson” and purchase those windows you’ve already been contemplating and start saving! Connect with us TODAY so you can take advantage of a window replacement!